Day trips are a memorable introduction to this rare and wondrous natural world! 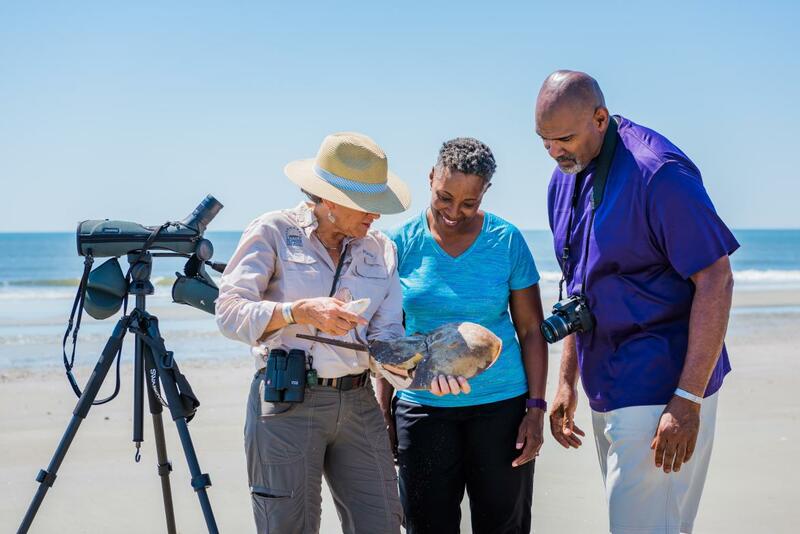 Little St. Simons Island welcomes you to an exciting day amid its 10,000 unbothered, unhurried acres of wildlife, deserted beaches, maritime forests and vast salt marshes. Day trips to Little St. Simons Island are ideal for anyone over the age of 8. The Little St. Simons Island ferry departs from the Hampton River Marina on the north end of St. Simons Island at 10:30 am and returns by 4:30 pm. To board the ferry, day trip or lodging reservations are required. Pack light and dress comfortably depending on the day&apos;s weather. For a day trip to Little St. Simons Island, bring or wear a bathing suit, long sleeve shirt, pants and comfortable shoes that can get a little dirty. Covering up will protect you from mosquitoes when the weather is warm. Other items you may want to bring include a hat, sunglasses and camera. As an all-inclusive island, Little St. Simons Island has its own chefs who prepare three daily meals at the Lodge. Chefs use ingredients from the organic garden and fresh local seafood to create a sustainable and delicious meal. Beer, wine and other beverages are also available. A family-style lunch at the Lodge is included in all day trips. Advance reservations are required for day trips.